As the pastor lives authentically before God’s people, not only does he provide effective safeguards for his own life, but also offers the faith community a genuine illustration of the incarnate Christ among them. I distinctly remember words of great passion and unwavering conviction, spoken from the podium at my Bible college convocation: “Ministry is a high and holy calling.” Decades later, I still take inspiration from that remarkable thought. It is true that we are part of a privileged group. We have been selected not only to minister, but to make ministry our vocation. I don’t question the veracity of the speaker’s statement, only its completeness. Time and experience have revealed to me an unspoken, but equally true, other half to his pronouncement. Had I been privy to the complete equation at the inception of my ministry, it may well have saved me from some of the deeper personal crises I have faced. While vocational ministry is indeed a “high and holy station,” it is implemented in a very low and unholy world through very imperfect people. And we, as ministers of the grace of Christ, are not distanced from, nor elevated above, that earthly environment while we pursue our calling. We are very much a part of it. We are human, frail and fallible. In the midst of the brokenness of life, we, too, will inevitably find ourselves in seasons of brokenness. Bombarded by the twisted and tantalizing advertisements for sin, we, too, will find ourselves tempted and sometimes failing. Admitting our humanity—first to ourselves, and then to those we are called to lead—can be frightening unless we understand that God considers weakness our best qualification for service. It seems interesting that Jesus, who was altogether and completely God, spent an inordinate amount of time attempting to explain that He was the Son of Man. He was human. It was God’s full intent for us to understand that our High Priest has been touched with the feelings of our infirmities. What we experience, He has already experienced on our behalf. We see a frustrated Jesus calling the people around Him “crooked, perverse, and faithless.” We see an angry Jesus defending the integrity of His Father’s house. We see a weary Jesus asleep in the stern of a fisherman’s boat. We see a grieving Jesus weeping at the graveside of His friend. We see a brokenhearted Jesus moved with deep compassion over the hopeless condition of humanity. We see a tormented Jesus agonizing in prayer as His own will comes in conflict with the will of His Father. We hear Him exclaim that the touch of a woman’s hand on the hem of His garment has extracted a measure of virtue from Him. All these facets of our Lord’s character are revealed to demonstrate that we, who are called to accurately represent the Son of Man, are permitted to be just as human as He was, and just as public about our humanity. There is a great release of stress from our lives when we accept the fact that, as high and holy as our calling may be, permission is granted for us to be completely human, and to be seen publicly in that light. More by implication than instruction, I was taught a pastoral ministry concept that I now totally reject. It is the idea of “professional distancing,” the thought that we must not become emotionally involved or overly transparent with those we are called to serve. We wonder if the body of Christ would continue to endorse our leadership, or even welcome our continued participation in the faith community, if they ever saw us “undone.” That question was forcibly put to the test in my life when, as a member of a pastoral team, I suffered a complete physical and emotional breakdown that brought me within a hair’s-breadth of suicide. Unable any longer to maintain a pretense of professionalism or hide behind pastoral performance, I was astounded when the people I was called to serve rallied to help guide me back to wholeness and, less than two years after my meltdown, asked me to be their senior pastor. Even more telling were the farewell commendations I received after 12 years of serving in that capacity. Very few of those comments reflected on my professional ability, centring rather on an appreciation for my willingness to live vulnerably before the people. From that experience I have learned the following lessons. The health and well-being of a pastor are best protected in the context of authentic faith community. Ministry is a life calling not practised beyond the reach of the people, nor even provided as a service for the people. It is a call to “do life” with the people. Accountability to the call of God is best maintained through the honest interpersonal relationships of faith community. As the pastor lives authentically before God’s people, not only does he provide effective safeguards for his own life, but also offers the faith community a genuine illustration of the incarnate Christ among them. History clearly teaches us that an environment of isolation and separation from authentic community provides soil for the seeds of sin to germinate in the leader’s life. In the deep shadows of pretentious and dishonest living, Satan’s appeals gain power, offences fester and poison, hurts remain unhealed, and health is sometimes irretrievably lost. A ready personal and public admission of our own inherent humanity, our susceptibility to sin, and our complete reliance on the strength of Christ allows us, as leaders, to access the divinely given health resources resident within the corporate body of Christ. We can admit that we are frustrated, angry, weary, grieving, brokenhearted, deeply moved by human depravity, tormented by the conflict raging between our own will and God’s, or just depleted by the withdrawals of virtue made against our spiritual capital. From the position of authenticity, we no longer have to measure ourselves against artificial standards that we, or others, have established for us. In that place of honesty, new possibilities emerge for sustaining health and balance in ministry. There is, first of all, a measure of wholeness in the act of confession itself. It was not without reason that James linked confession and healing together in one verse of Scripture: “Confess your faults one to another … that you may be healed” (5:16a, KJV). The greatest sense of well-being we can experience in ministerial leadership is a clean conscience before God and man. The best solution for a guilty conscience is to deny lodging for anything that produces guilt in our lives. That denial comes through the process of voluntary confession. Secondly, our admission of personal need and deficiency allows us to reach out quickly for counsel from godly people. We are blessed within the kingdom community to have those who are especially called and trained to offer wise counsel and coaching. There is a growing recognition that God provides faith-based counselling, not only as a remedial resource—but more important, as a proactive and preventive measure. An increasing number of my referrals to professional counsellors are coming before situations have reached personal crisis proportions. How much better it is to prevent a problem than to attempt to solve one. Not to access this resource is to deny ourselves one important tool for maintaining our own emotional and spiritual health. At the General Conference of the PAOC in Winnipeg in 2006, former general superintendent Rev. Bill Morrow made an impassioned plea for us to return to the roots of our Fellowship—roots set in the soil of authentic relationships. Rev. David Wells has continued to emphasize that same theme. This call has been heeded and we have embarked on a new chapter of kingdom community, based on material from a very old book. I, for one, am glad that handshakes with colleagues at conferences are acompanied less frequently by a need to recite personal successes from our own local arenas of ministry. Comparisons are foolish and unnecessary among those who all stand in a place of equal need. Advancement of the kingdom of Christ will be much more effective through an admission of our own humanity to ourselves and others, a honest recognition of our total reliance on the continual infilling of the Holy Spirit, and a celebration of our healthy and scriptural dependence on one another—a dependence that validates our call while allowing for the imperfections we all have. REV AL DOWNEY—has served in fulltime ministry with the pentecostal assemblies of canada since 1980. 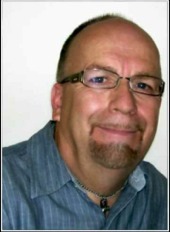 He is presently the pastoral care coordinator for the alberta and northwest territories district. He has been married to yvonne for 37 years. They have two adult sons, jeff and jason.